Orthostat with yoke symbols in Mané Lud tomb, Brittany. Described from finds in Breton megalithic art this symbol is named yoke in literature (e.g. ). This symbol can be found in a number of passage tombs in Brittany. 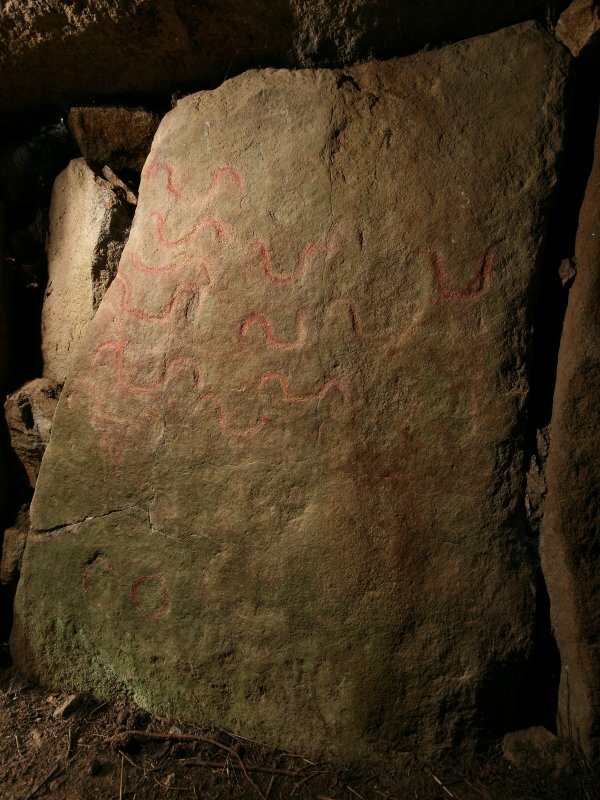 A fine example can be found in the passage tomb of the Mané Lud mound in Locmariaquer with eleven ‘yokes’ on one orthostat. The domestication of cattle was an important achievement in the Neolithic. Cattle provided important food supply. The importance of cattle in shamanic and funeral rites seems to be suggested by finds of bulls heads in or near to megalithic graves (see Bulls’ Head).